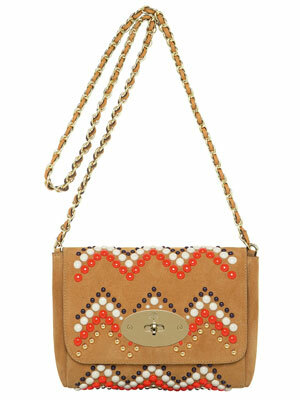 I just discovered the perfect transitional summer into fall bag...the new studded, chevron print Mulberry Lily. The Zig-Zag Lily in sycamore color suede will be available soon at Mulberry.com. Have you added a chevron bag to your collection? J'ADORE the first one, it's perfect for summer! Very stylish bags. I really love the first one. It's a great selection. The chevron pattern is so cool! Thank you for the lovely comment on my blog! oh i'm in love in that first bag, so cool! Love chevrons! Hadn't thought of them in a bag before, but I love it! I love the bags! I especially love how you have shown the expensive bag and then how you can get a cheap alternative. Oooo a chevron bag? I suppose yes I do have one! It's a pink and orange clutch with beads that are woven into a chevron pattern. However it is an evening clutch so...def limited in use in comparison to the Mulberry! so which one are you getting?? great this bags, amazng they are! ..perfect bags for summer . I love Prada ! All the bags are great! My fave is your first choice the Mulberry Lily bag. This bag is beautiful. Wow that Mulberry bag is gorgeous,and right up my street! Love your more affordable alternatives,too,love ASOS so on trend and of goog value,the bag ou picked is gorgeous. Coveting the ASOS bag!! Cute picks. LOVE the bags!! they look great! wow i love the blue version of this bag! Stunning! I typically like the steals better than the splurges, but that splurge is TDF!!! Oh. My. Word!!!! I just recently picked up a raffia one from the local flea for super cheap...really digging chevrons with a bit of texture to them...plain b/w graphics are so 2000 and late dontcha think? LOVE your picks, that Asos one has my heart! Thank you for continuing to stop by with such awesome feedback…hope to see you back soon! 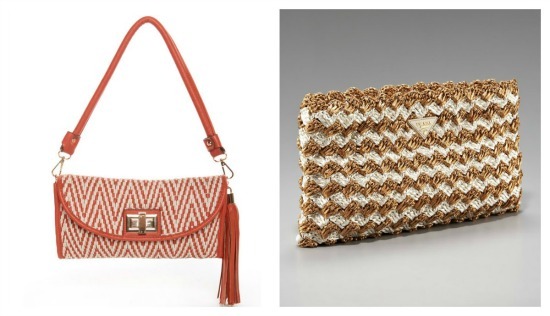 SUPER CUTE PURSES...THE PRADA CLUTCH IS EVERYTHING AND MORE! LOVE! 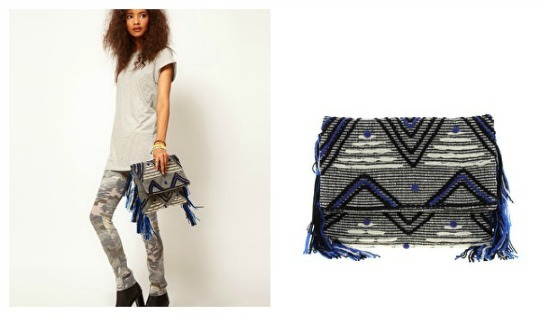 That asos clutch is amazing...thanks for sharing! Wow love those bags sooo much <3 the second clutch is my favourite <3 ! Aw I want a bag like these!! <3 Great post! I looove 1st clutch sooo much!!! Love THE bag! But I should also thank you for the alternatives! Love them all! love Mulberry! I use to work for them years ago in New York! but couldn't afford to buy one =( so thank you for showing affordable alternatives!